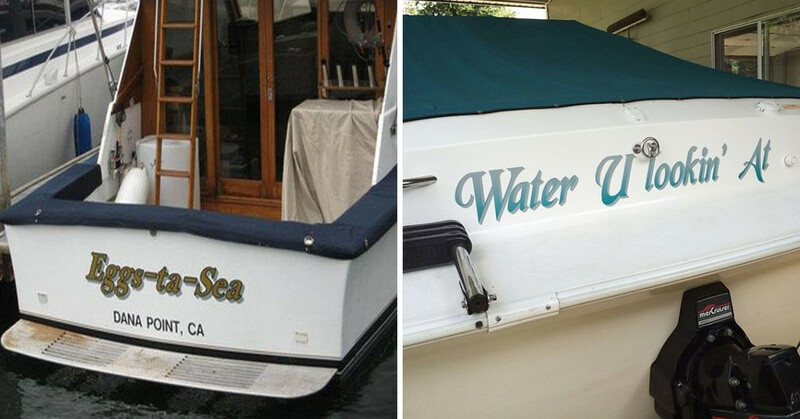 If you are rich enough, buying a boat is seriously a big deal. I doubt any of us will ever be rich enough to buy a boat but that’s okay, I’m not sure when any of us would use it anyway…Once you’ve bought a boat the next most important thing isn’t learning how to drive it or buying equipment, no. It’s giving it a name. 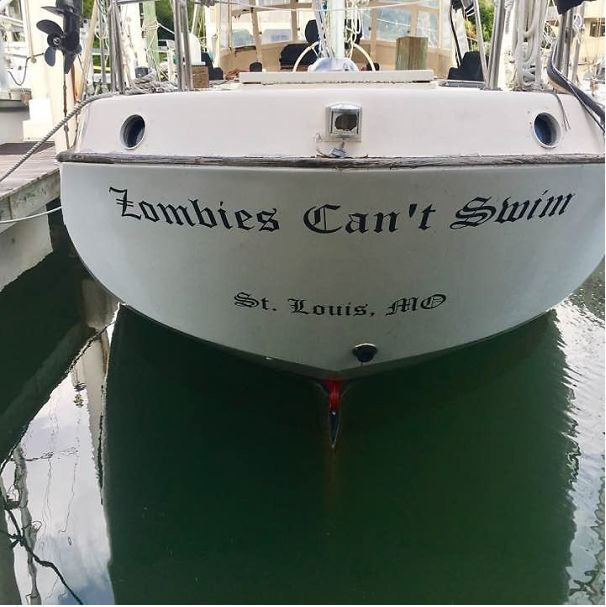 I love how this person had enough disposable income to buy a boat but not enough to hire a professional to do a proper sign for their boat. Shows how you can do anything with duct tape! 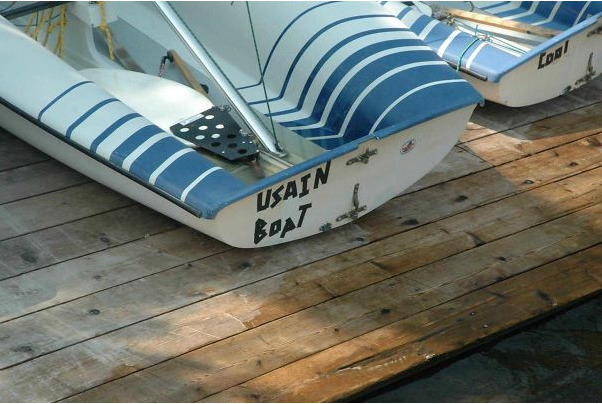 Anyway, this boat better be fast or its name is pointless.